One cake that I have been wanting to make for a while now is a Swiss roll. When I noticed that I had a punnet of strawberries to use it gave me the perfect opportunity to make one. I have followed Rosemary Shrager's recipe for the sponge but have added my own filling. I used the recipe that is in Bakes, Cakes and Puddings. 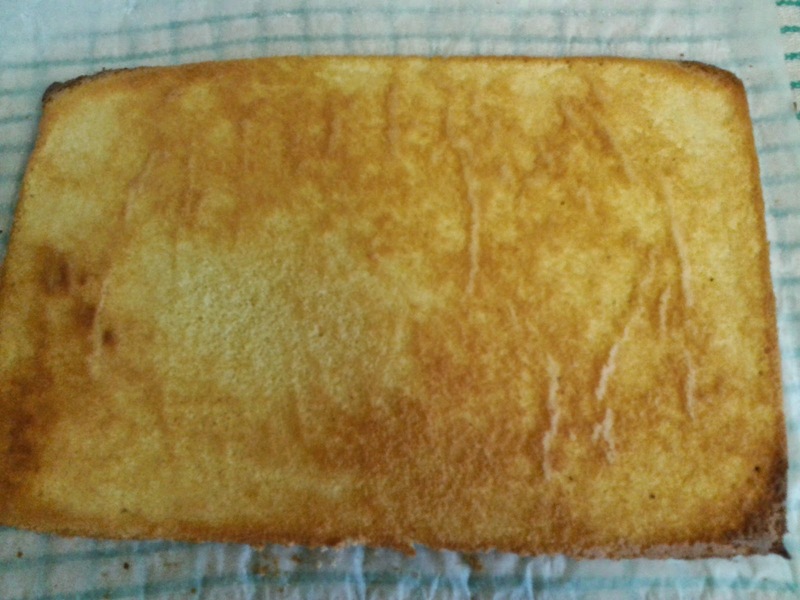 The sponge is more of a time consuming cake to make so do allow yourself a good 15 minutes to prepare the mixture. 1 - Place the caster sugar and eggs in a large glass bowl. 2 - Place the bowl over a pan of simmering water and begin to whisk. 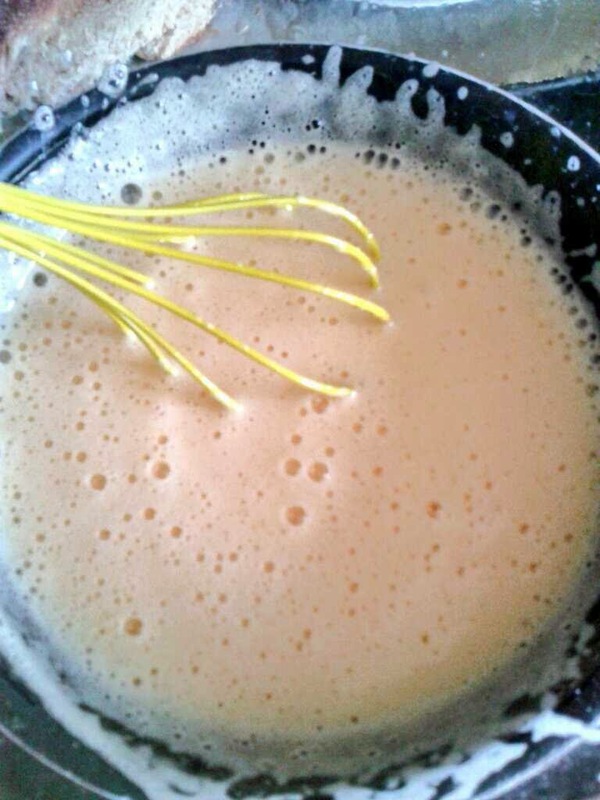 3 - Whisk the eggs and caster sugar until it becomes thick and leaves a trail when you lift the whisk, be warned this will take a good 10 minutes of whisking! 4 - Remove the bowl from the heat and continue to whisk the mixture for a further 2 minutes. 5 - Sift in one third of the self raising flour and gently fold in. 6 - Repeat until all of the flour has been added. 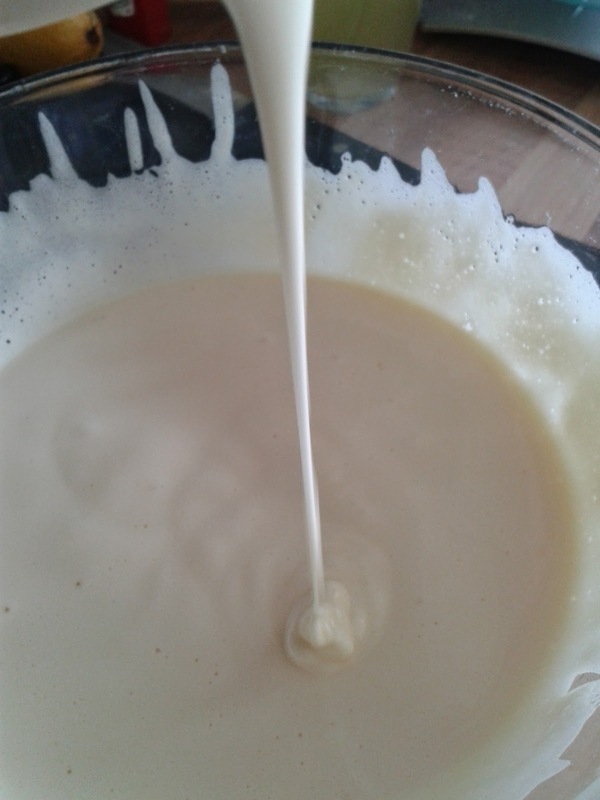 7 - Mix in the milk and gently mix until you have a smooth mixture. 8 - Pour the mixture into a lined Swiss roll tin or deep baking tray and place in the centre of the pre heated oven and bake for 12 minutes. 9 - While the cake is baking prepare the surface for the cake to cool by placing a clean, damp tea towel on the side, put some baking paper on top and sprinkle with caster sugar. 10 - Remove the cake from the tin and place on top of the baking paper, remove the baking paper from the base of the cooked cake, place a fresh piece over it and put the warm baking tin over the top. This will ensure that the sponge does not dry out. Leave to cool completely. 11 - When the cake has cooled prepare the filling by whisking the cream, cream cheese and icing sugar together. 12 - Mix in the elderflower cordial. 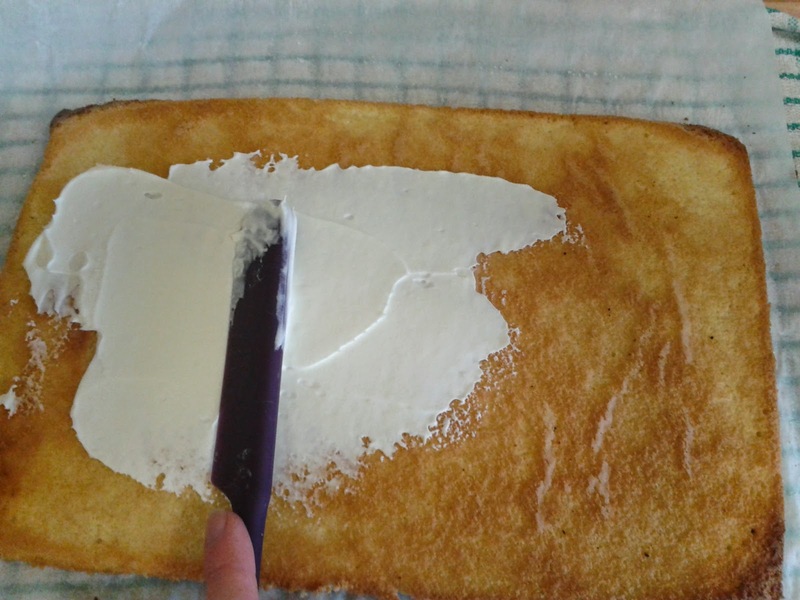 13 - Using a pallet knife spread a layer of the cream mixture on the sponge. 14 - Lay the sliced strawberries over the cream, leaving an edge free of strawberries for the joining seal. 15 - Roll the sponge toward the side with the strawberry free edge, once rolled sprinkle with icing sugar. 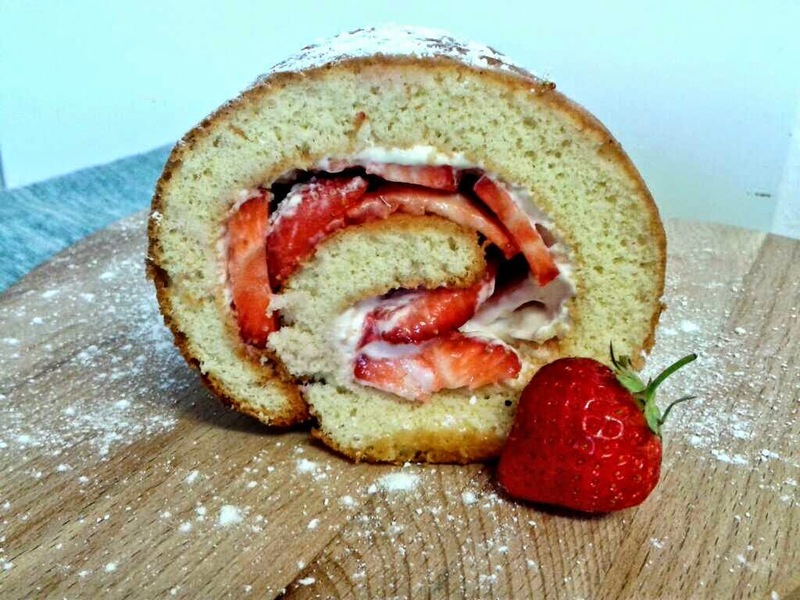 This is delicious summer Swiss roll, perfect for a warm summers treat! My strawberries are just ripening and I have elderflower cordial - I might just make this then!